It is time. After close to two months rumblings, the rumors that have driven NFL story lines since the Eagles’s triumph in the Super Bowl are about to displaced by hard decisions. This includes the Steelers who are facing a number of decisions, and they have made one, albeit one with little drama. Doing into free agency, there was little question as to whether the Steelers would tender restricted free agent Chris Boswell. 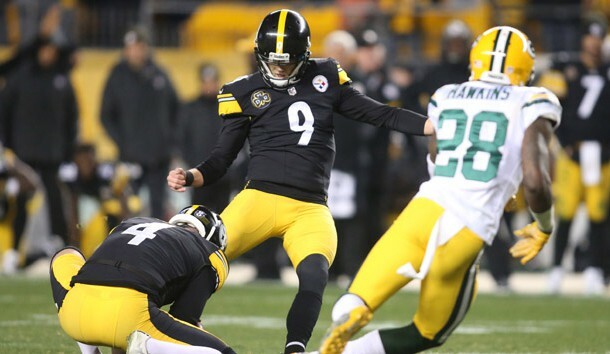 #Steelers K Chris Boswell got a 2nd-round RFA tender. What this means in practical terms is that the Steelers have offered a one year deal to Chris Boswell worth about 3 million dollars. If Boswell signs the tender he is bound to Pittsburgh for the 2018 season, restricted free agent tenders are not guaranteed. So the Steelers could cut Boswell, as they did to Isaac Redman in 2013 who was playing on a restricted free agent tender when the Steelers cut him in October 2013. However, Boswell is under no obligation to sign the tender and he and his agent are free to negotiate with other NFL teams. However, the Steelers would have the right to match any offer made to Boswell or, should they let him go, the signing team would have to give the Steelers a second round pick. The move virtually ensures that Boswell will play in Pittsburgh during 2018. A 2nd round pick is a lot to give up to get a kicker, although the Steelers did see New England extend an offer to Emmanuel Sanders when he was a restricted free agent in 2013, just as the San Diego Chargers did in 1993 when linebacker Jerrol Williams was a restricted free agent. The Steelers chose to match Emmanuel Sanders offer and let Jerrol Williams walk, for those of you boning up on your Steelers free agent trivia. This entry was posted in Steelers 2018 Free Agent Focus, Steelers 2018 Off Season and tagged Chris Boswell, Emmanuel Sanders, Isaac Redman, Pittsburgh Steelers, Steelers free agents. Bookmark the permalink.